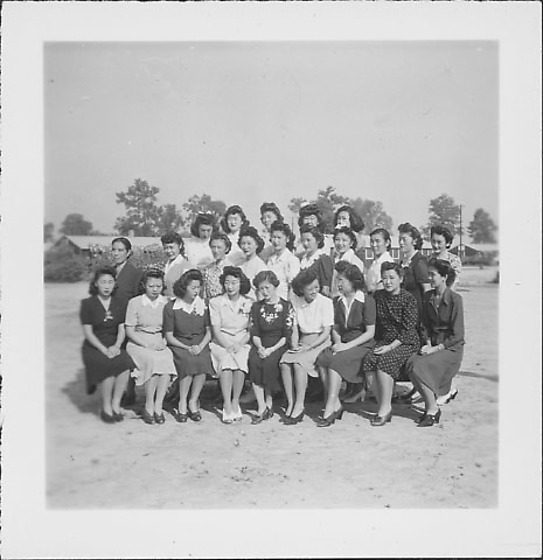 Group portrait of twenty-four women standing in three rows in open area outdoors at Rohwer concentration camp, Rohwer, Arkansas, November 7, 1944. 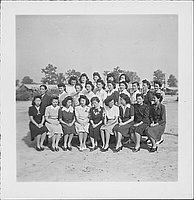 Nine women sit in the front row of the group; ten women stand behind them, and a third row of five women stands at rear. Barracks and trees in the background. Stamped in black ink on back: NOV 7 - 1944.